STRENGTHENS HAIR AND GIVES A GLOSS FINISH. PROTECTS THE HAIR FROM EXTERNAL STRESS. STIMULATES THE HAIR FOLLICLES FOR IMPROVED HAIR GROWTH. Hair Shine Boosting Spray strengthens hair and gives a gloss finish. A leave-in conditioner that counteracts frizzy, lifeless and dull hair. Every day your hair is subjected to wear that can leave it dull and tired. The heat from blow-drying and straightening tongs, colouring and styling products, weather and wind. 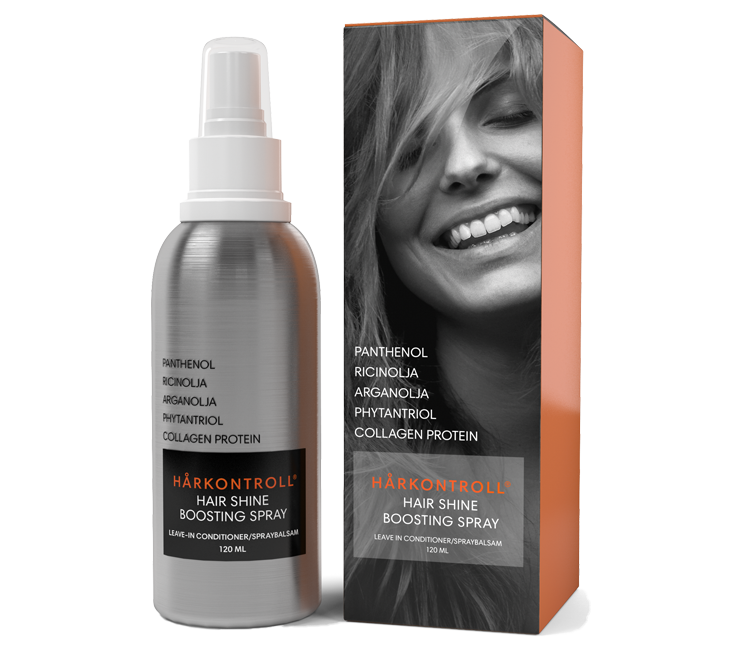 Thanks to the unique Hårkontroll Hair Shine Boosting Spray formula, you can help your hair to protect itself when under difficult conditions. Makes frizzy and lifeless hair smooth and silky-soft again. Castor oil - stimulates the hair follicles for improved hair growth, thanks to its unique formula of essential fatty acids, vitamins and minerals. Argan oil - gives optimal shine to lifeless hair and split ends. Phanthenol– pro vitamin B 5 or D-panthenol, has been used for many years in haircare products and acts as a moisturising agent. Panthenol increases the water content of hair and also improves elasticity. 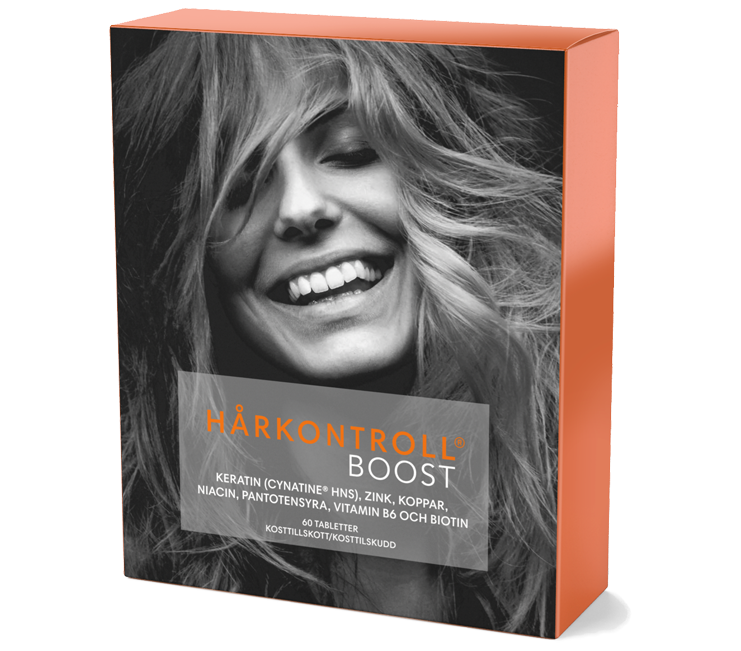 Phytanttriol– multi-active booster that both strengthens and optimises the delivery of active ingredients to the hair. A natural moisturiser that also puts the shine and softness back into damaged hair. Its effects have been confirmed in studies. Allantoin - reduces irritation and soothes the scalp. Collagen Protein - increases hair elasticity, moisture and strength. Spray into newly washed, towel-dried hair. Do not rinse out the product, comb through the hair and blow-dry as usual.